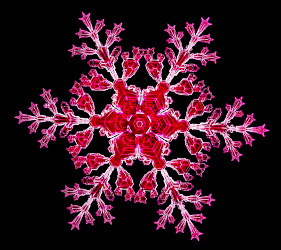 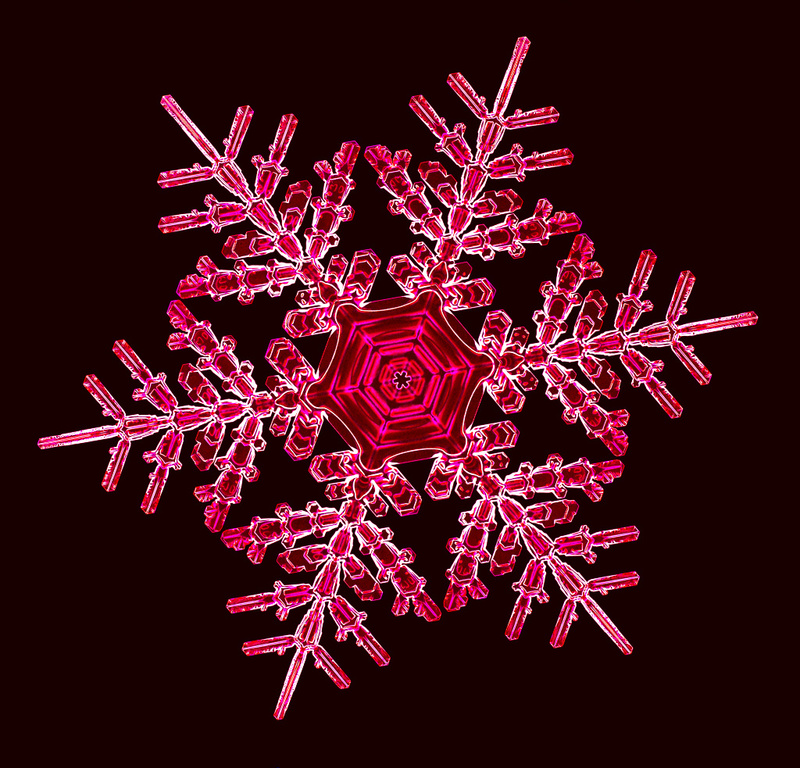 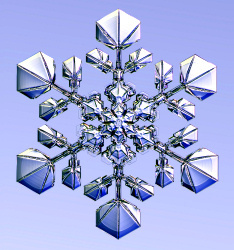 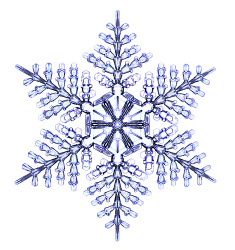 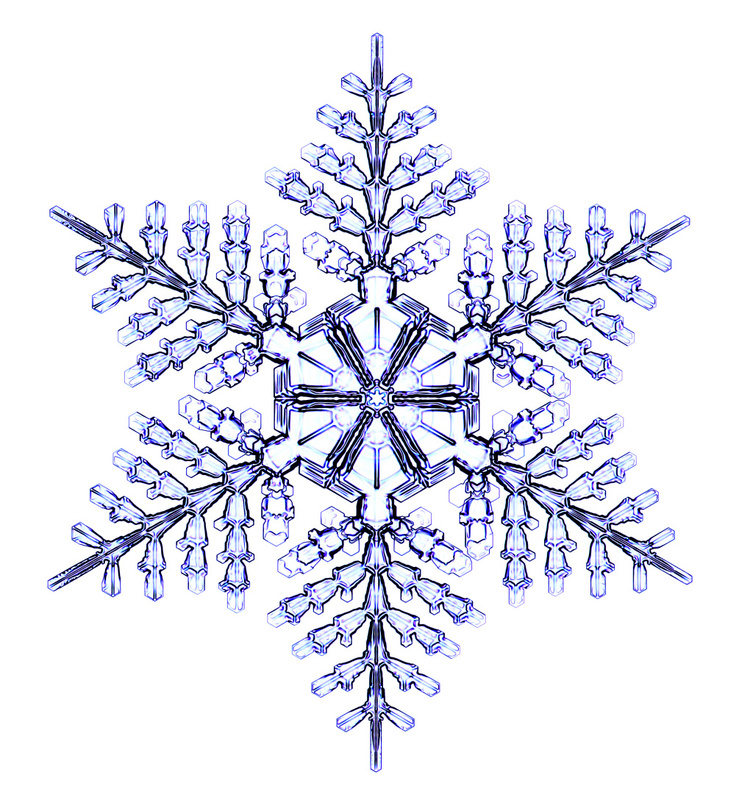 At left is a photograph of a designer snowflake -- a real sliver of ice, grown from water vapor, but created under controlled conditions in the laboratory. 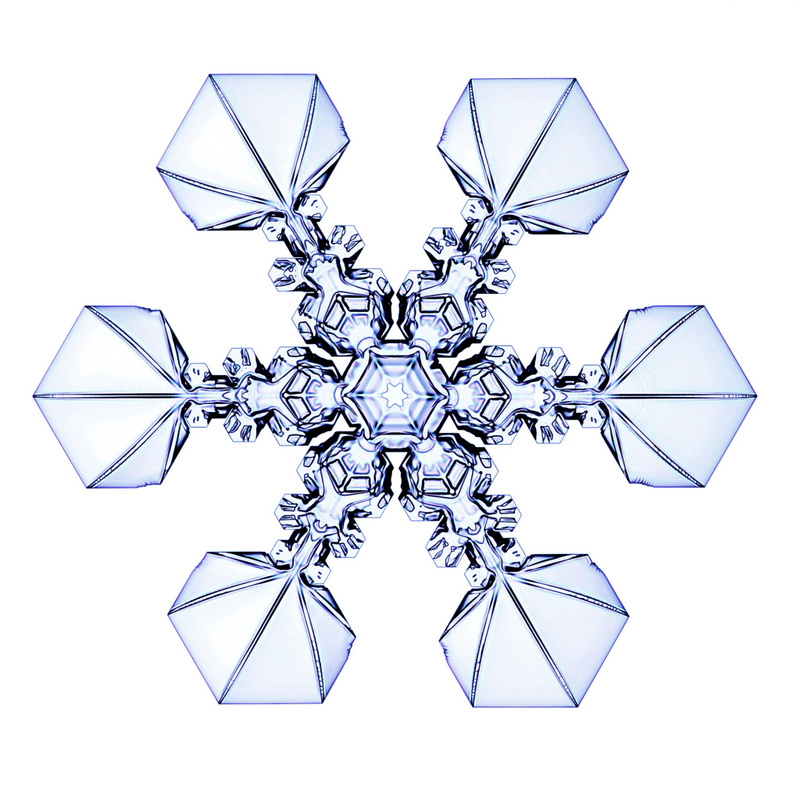 They might also be called synthetic crystals, but I call them designer snowflakes because I am free to design the final shape by changing the temperature and humidity as the crystal grows. 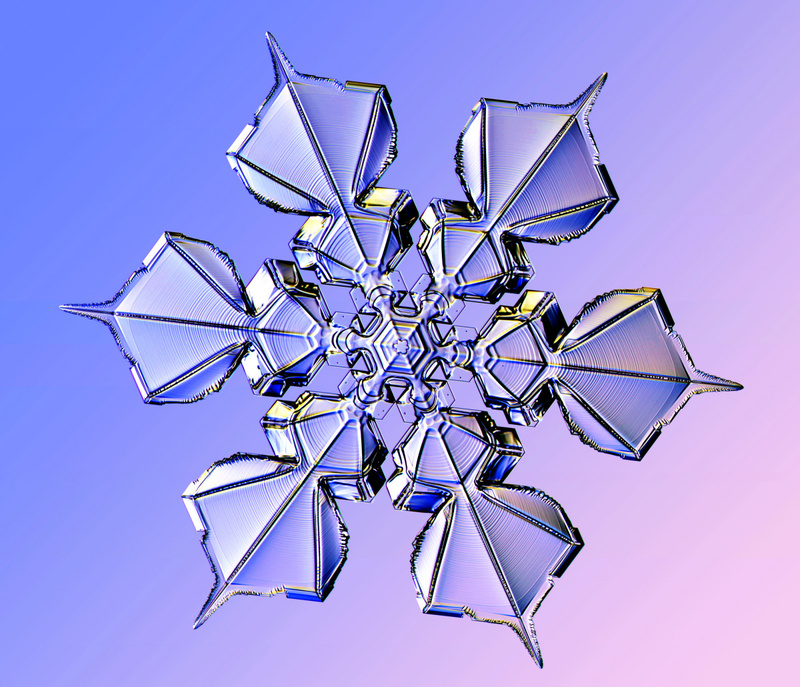 I like to think of this as a new form of ice sculpture, except I am not carving away from an initial block of ice, but rather growing a desired structure by adding water vapor. 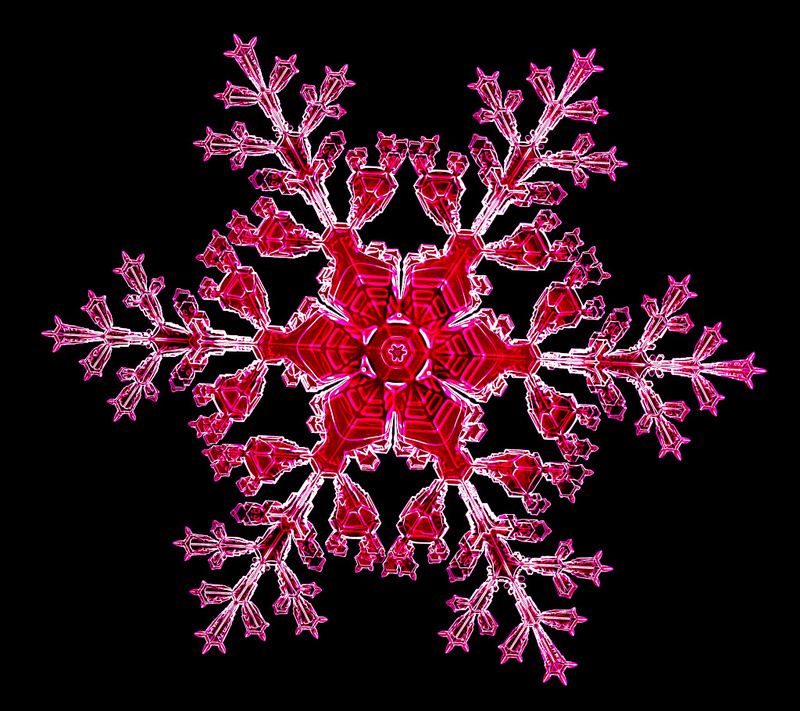 I am bound by the rules of ice growth, of course, so I cannot fashion any arbitrary shape. 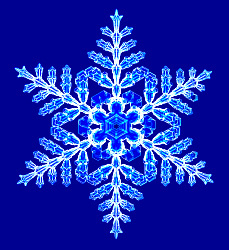 But I can make some fine-looking snowflakes. 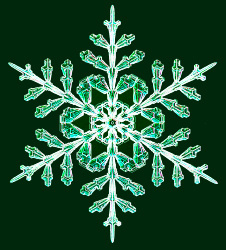 Creating designer snowflakes of this quality is a new thing, so for now I have the dubious honor of being the world's only snow crystal artist. 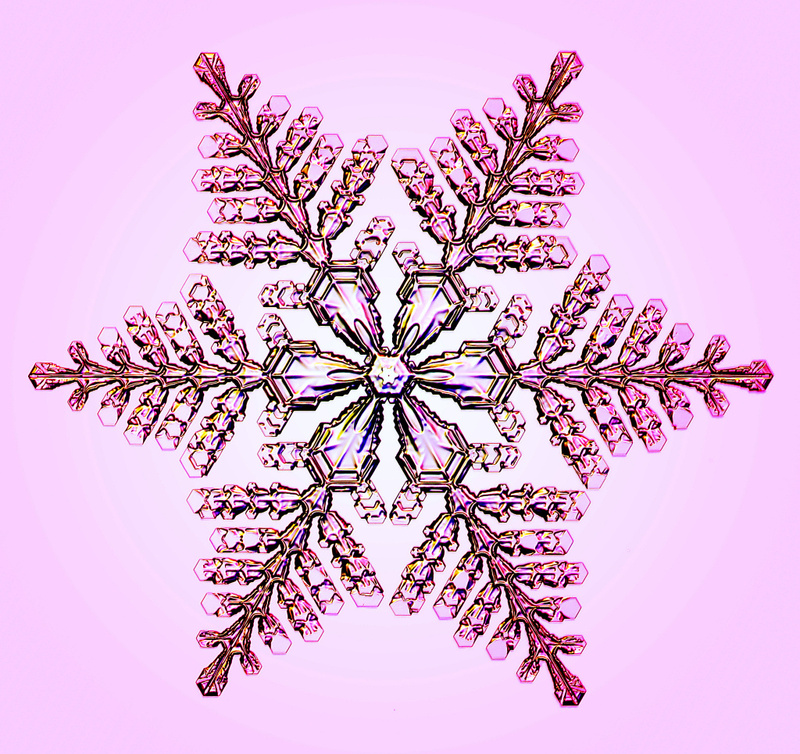 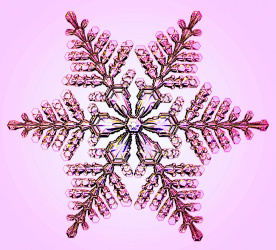 This page shows some photographs from my designer snowflake collection. 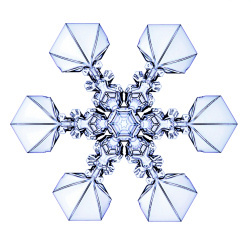 I start by making a large number of tiny hexagonal ice crystals (see Freezer Snowflakes) and dropping a few of them onto a sapphire substrate (glass works fine also, but sapphire doesn't scratch as much). 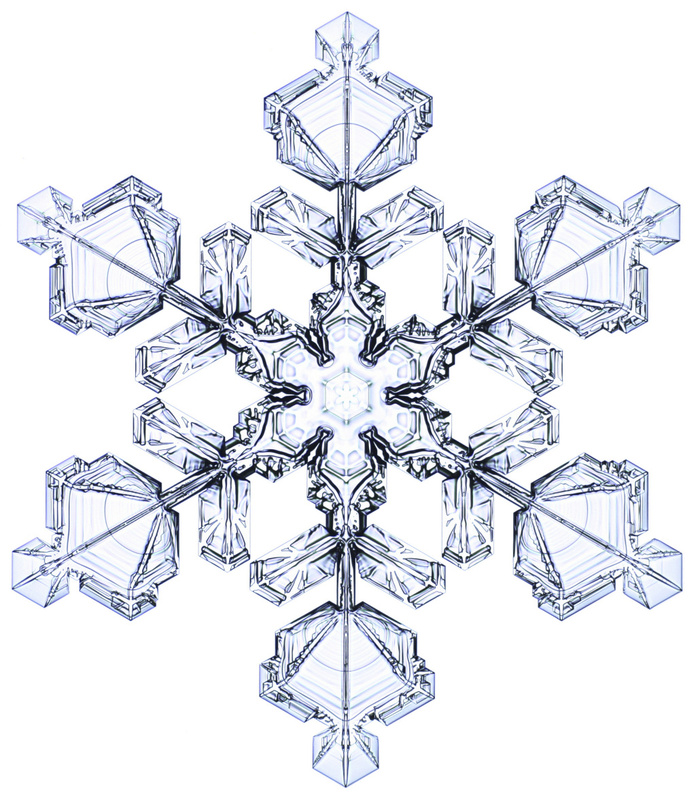 Then I blow moist air gently down onto the crystal and watch it grow. 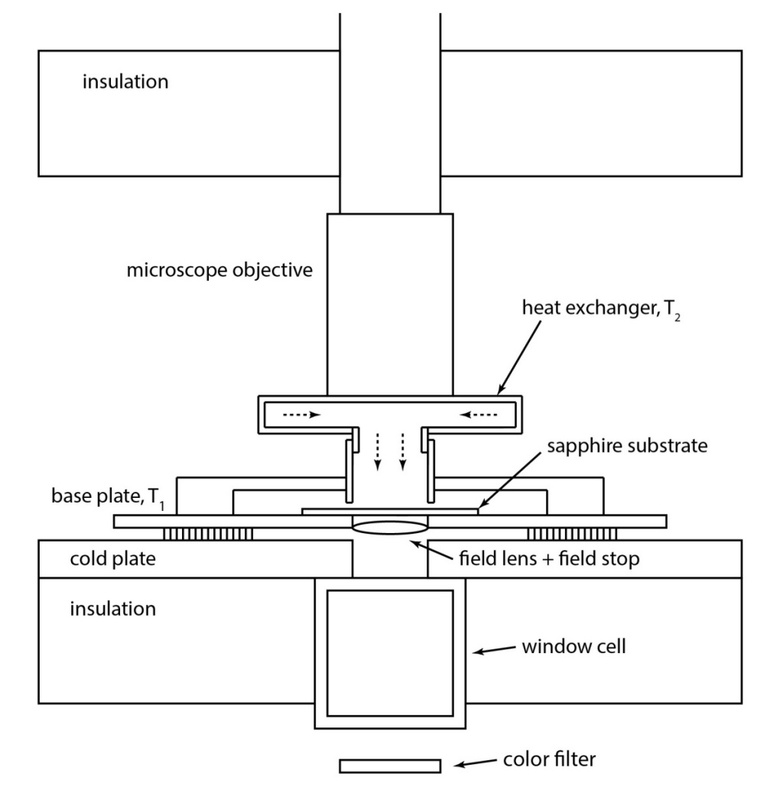 The diagram on the left shows the basic layout. 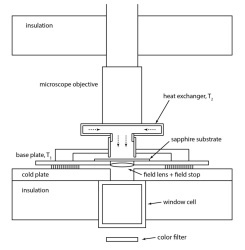 The camera (not shown in the diagram) sits above the microscope objective. 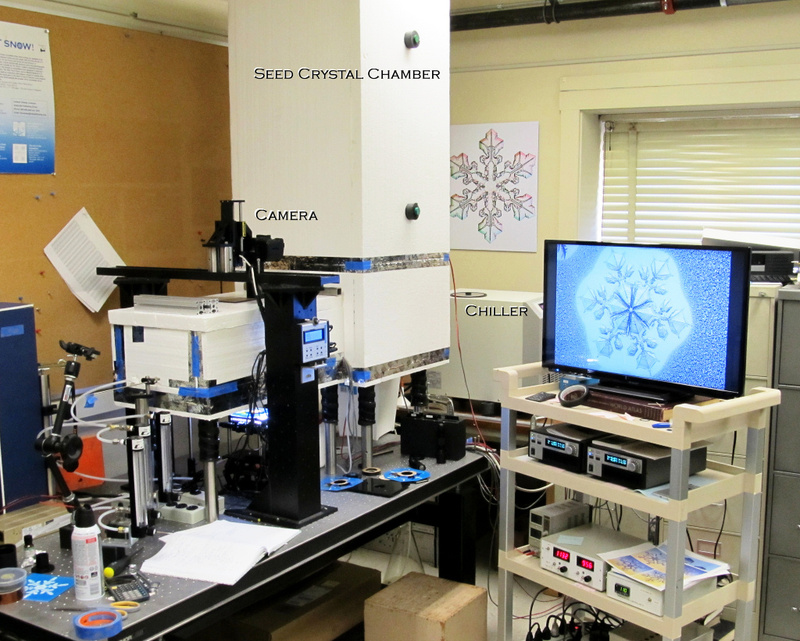 The camera's live view goes to a TV monitor, so I can watch the crystal grow in real time. 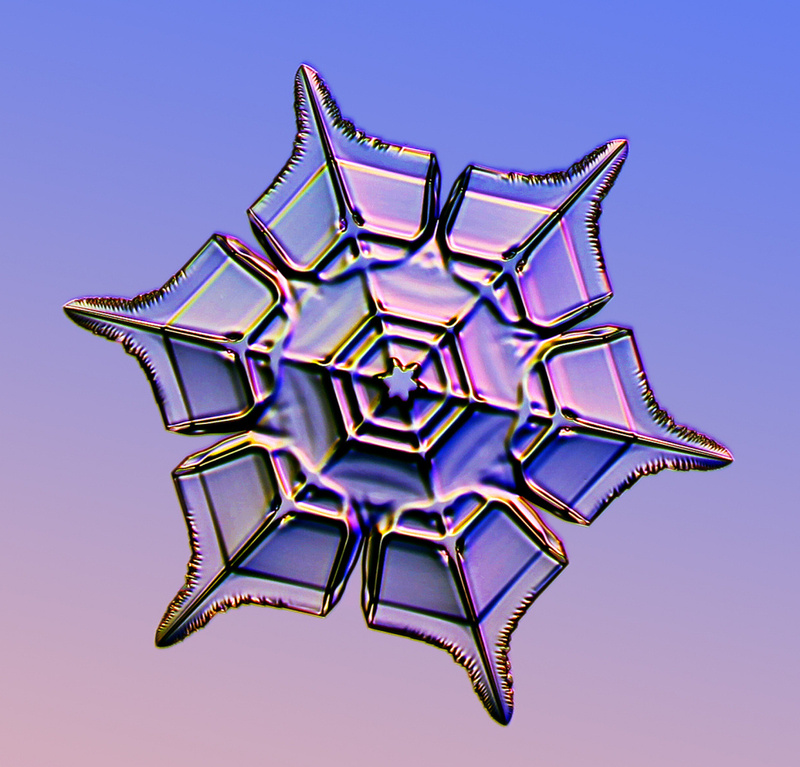 A fast crystal might take 15 minutes to make, but I have let some grow for 2-3 hours. 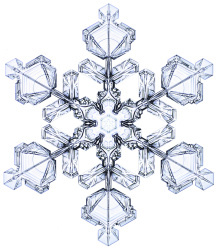 Since I photograph the crystals as they grow, the facets and edges are sharp and distinct. 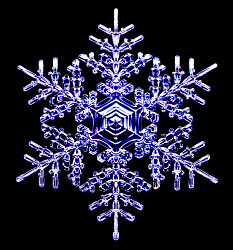 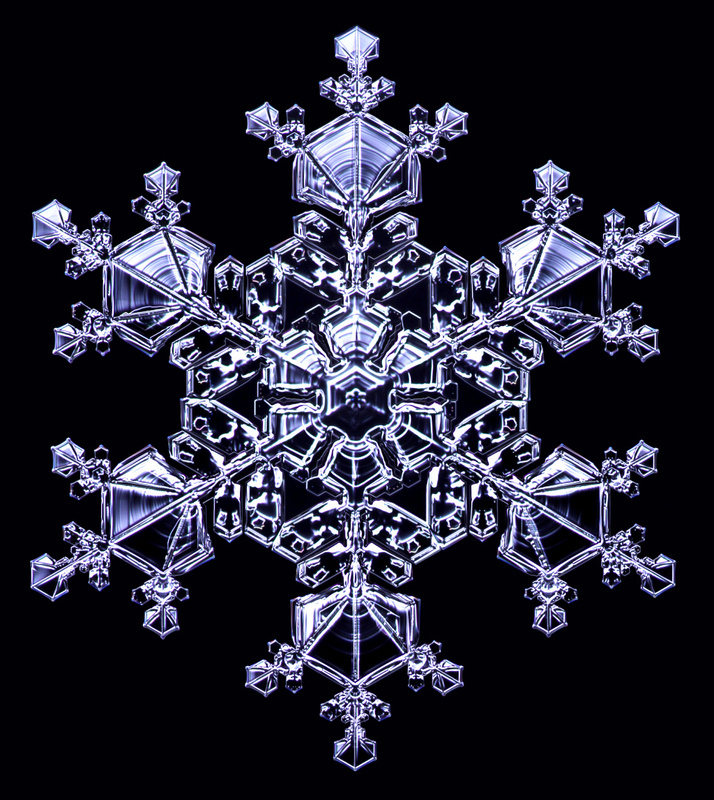 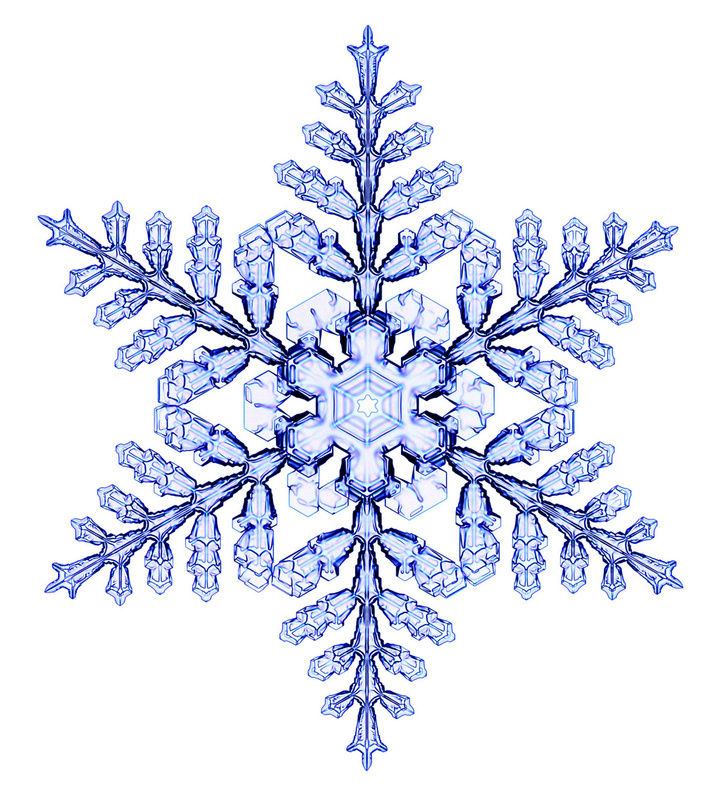 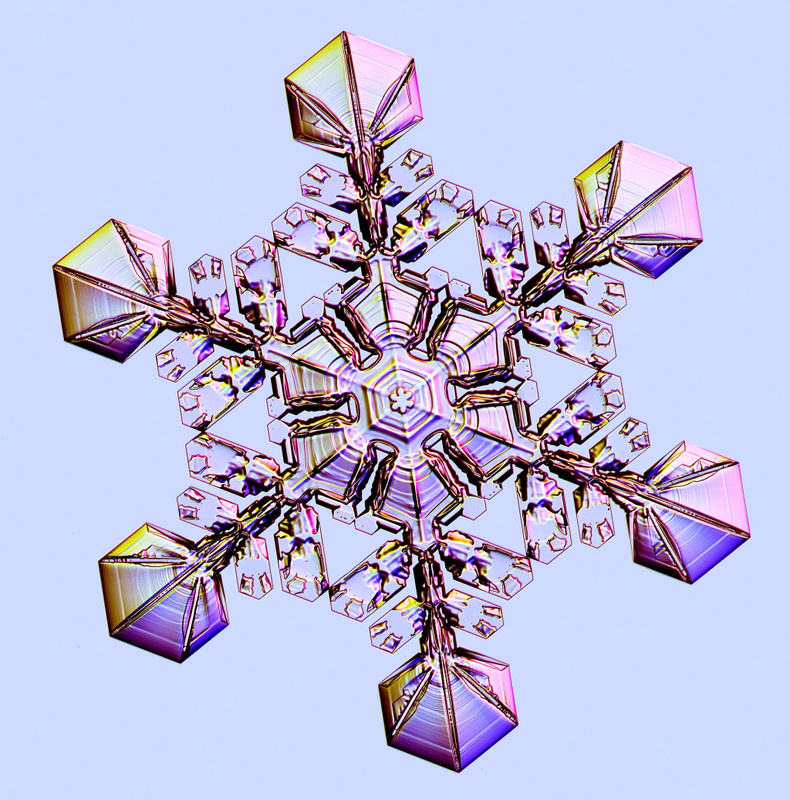 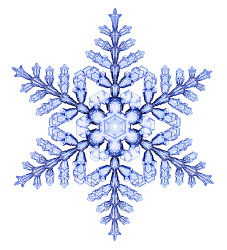 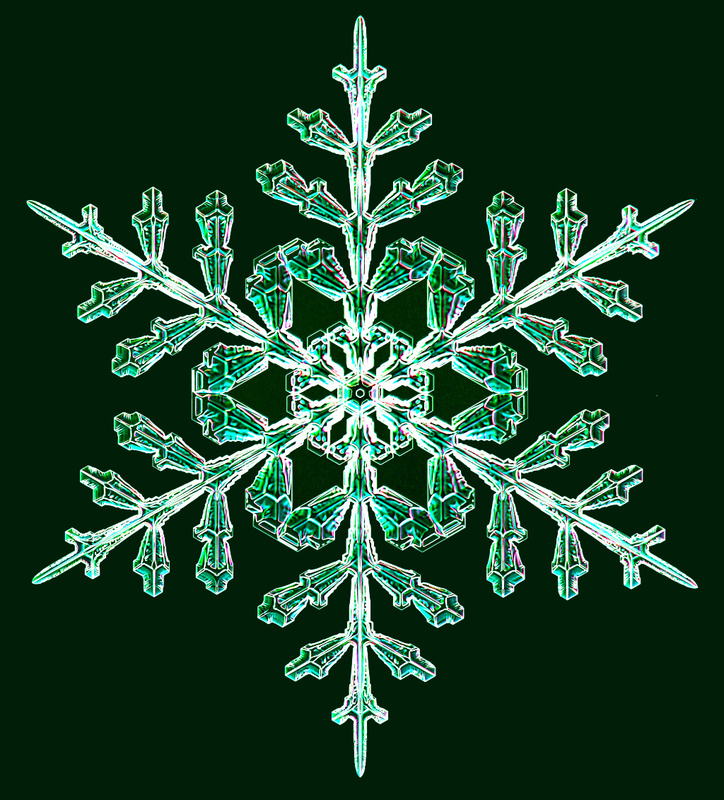 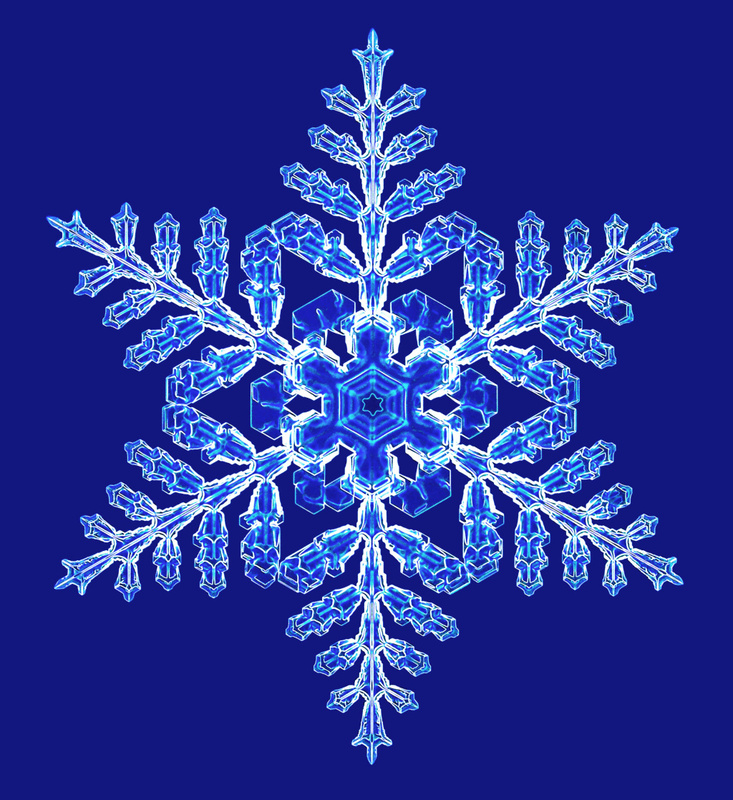 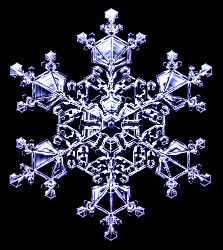 Natural snow crystals tend to have more rounded edges, since they evaporate a bit once they leave the clouds. 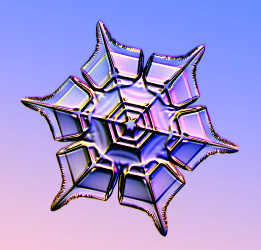 Sometimes water droplets condense on the substrate, as shown in these photos. 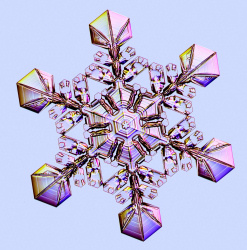 The tiny droplets are like the fog you see when you breathe on a cold mirror. 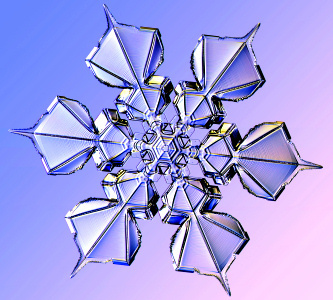 Ice absorbs water vapor from the air, however, so no droplets condense near the crystals. 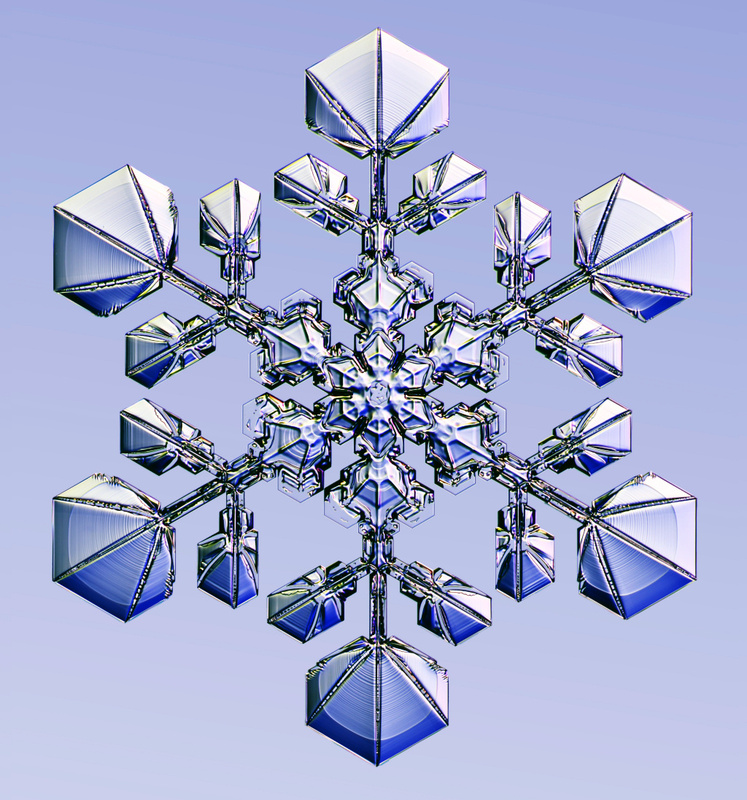 These two snowflakes measure 0.36 mm (left) and 1.9 mm (right) from tip to tip. Making designer snowflakes is a rather involved process, alas, and expensive also. 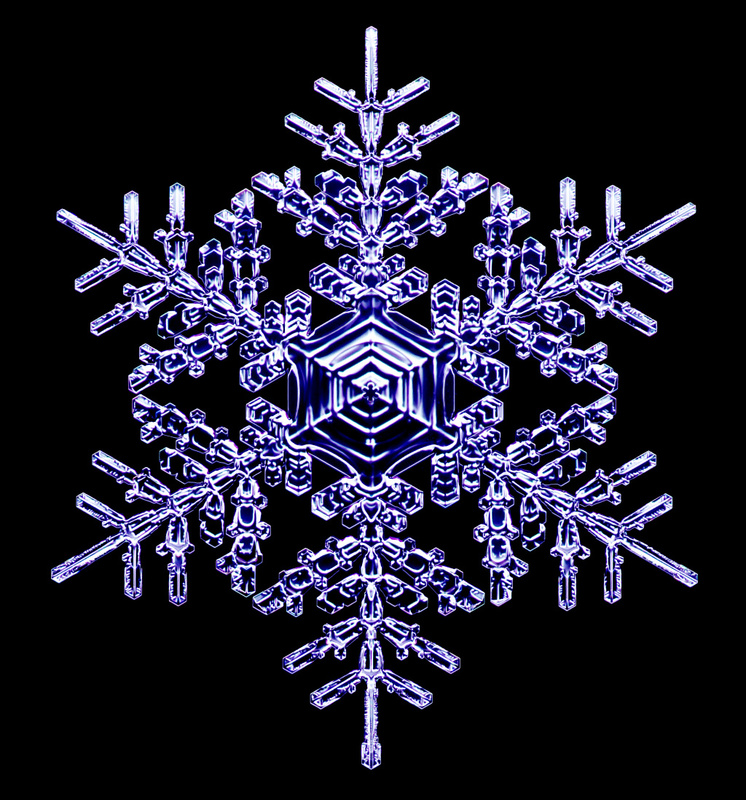 I use a recirculating chiller ($5k), several temperature contollers ($2k each), and a lot of hardware designed and fabricated just for this. 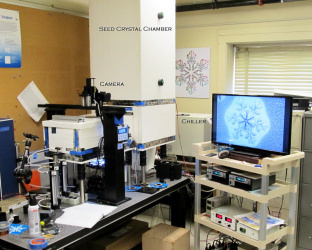 An experimental apparatus for observing deterministic structure formation in plate-on-pedestal ice crystal growth, by Kenneth G. Libbrecht, arXiv:1503.01019 (2015).